The talks commence despite opposition from France, which expressed concerns over the US intention to withdraw from the Paris Agreement on climate change, Elysée sources told EURACTIV. Member states were expected to find new wording that reflects French concerns, according to EU sources. Those related to allegations that the negotiations could become a backdoor to revive the Transatlantic Trade and Investment Partnership (TTIP), and the requirements of the new pact in terms of environmental standards. France recognised the progress but considered the text was not strong enough in defending climate priorities. Nonetheless, EU sources said there hadn’t been any objection to the approval of the mandate during the ambassador’s meeting. The Council of ministers still needs to give its consent on Monday (15 April), although the matter is expected to be treated as a point of procedure and therefore approved without discussion, and only a qualified majority is needed. The mandate would allow the US and the EU to work towards the elimination of tariffs for industrial goods and on a conformity assessment, setting out the requirements for products to be sold in the EU market. Any prospective agreement is intended to sit alongside the deal the Commission is planning to negotiate to remove non-tariffs barriers, in addition. 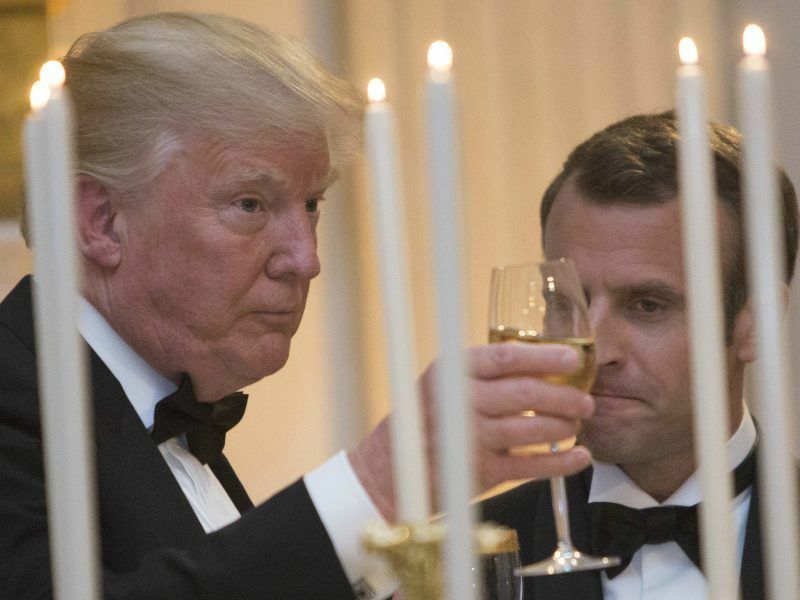 French president Emmanuel Macron has voiced concerns with the US stance on climate change, following President Trump’s announcement to withdraw from the Paris Agreement in 2017. He also complained about a lack of access to US public procurement markets for EU companies. “I am not in favour of having new trade deals, in whatever form, with whoever is, with partners that do not have the same climate standards that we have because that would be unfair competition for our companies, our farmers…,” President Emmanuel Macron said, in response to a EURACTIV question on the blockade of the mandate at the Council. “If we should move forward, I have always been clear, we cannot do it unless we have guarantees,” Macron insisted after the European Council in March called to speed up the process. According to Elysée sources, France intends to continue the fight from the European Parliament after May elections, to ensure that no trade agreement is signed if it is not in accordance with the principles of the Paris Agreement. The question remains highly important for Macron ahead of the upcoming elections. 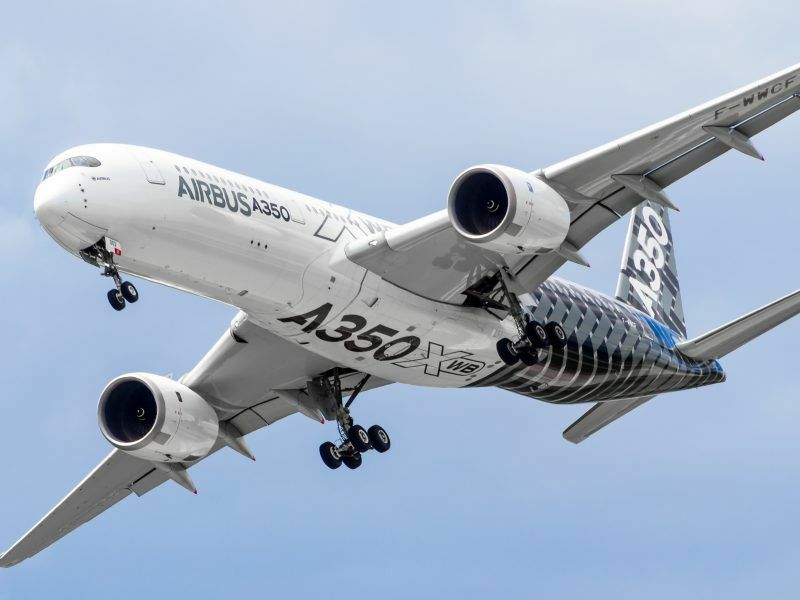 The agreement comes in a timely manner as the Trump administration is threatening to impose counter-measures on European products, including cheese and wine, as a response to alleged unfair subsidiaries to Boeing and Airbus. Trade tensions between the US and the EU have been going on for months and started when the Trump administration imposed restrictive measures on steel and aluminium exports and threatened to hit European cars as well. In July last year, European Commission president Jean-Claude Juncker travelled to Washington to try to ease tensions between partners. 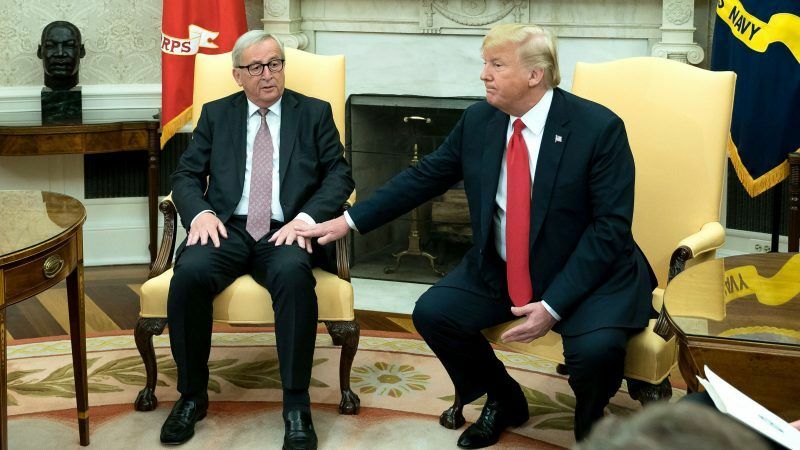 Juncker and Trump committed to a joint statement to open talks on the trade of industrial goods. The US government has blamed the EU for its lack of progress over the past few months. France was not the only EU actor that has showed concern in trade cooperation with the US, but it has probably been the most vociferous. The European Parliament expressed its opposition to open trade talks with the US as well , when EU lawmakers failed in March to pass a resolution supporting the start of the negotiations with the Trump administration. Although the resolution is not legally binding, the European Parliament would have to eventually vote on an agreement between the US and the EU. If the Council of ministers finally confirm the agreement, the Commission will start negotiations with Washington.